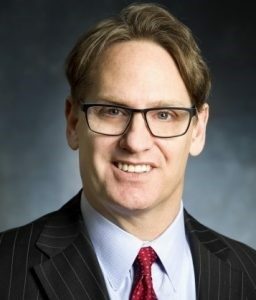 RVU is pleased to announce that Scott Ellner, DO, will be providing the keynote address at the University’s 2019 Commencement Ceremony. A board-certified physician specializing in general surgery, Dr. Ellner serves as Group President for Physician Alignment at Centura Health where he provides leadership to Centura Health Physician Group, Colorado Health Neighborhoods, and FullWell. He is also an educator and public health leader, having authored 20-plus publications and 200-plus speaking engagements. Previously, he served as CEO of Centura Health Physician Group, providing whole-person care at the multi-specialty group. Dr. Ellner is committed to ensuring a collaborative environment between physicians, patients and hospitals to achieve optimal patient care outcomes. He is responsible for multiple patient safety initiatives, as well as guiding Saint Francis Medical Group (a 400-povider multi-specialty practice in Connecticut) to be adaptable in the face of a changing reimbursement and regulatory environment. The commencement ceremony will be held on Saturday, May 18th at 5 pm at the Ellie Caulkins Opera House in Denver. Doors will open an hour in advance. RVU will award degrees to 151 graduates from the College of Osteopathic Medicine and 24 graduates from the Master of Science in Biomedical Sciences program. The commissioning officer for military graduates will be Major General Ronald J. Place, MD, Director of the National Capital Region Medical Directorate and Transitional Intermediate Management Organization within the Defense Health Agency. He also serves as Clinical Professor of Surgery at the Uniformed Services University of Health Sciences. MG Place’s exemplary service in the U.S. Army has led to numerous awards for clinical excellence including the Distinguished Service Medal with oak leaf cluster and the Combat Medic Badge.